I like depictions of wheat - the staff of life since 10,000 B.C.E. 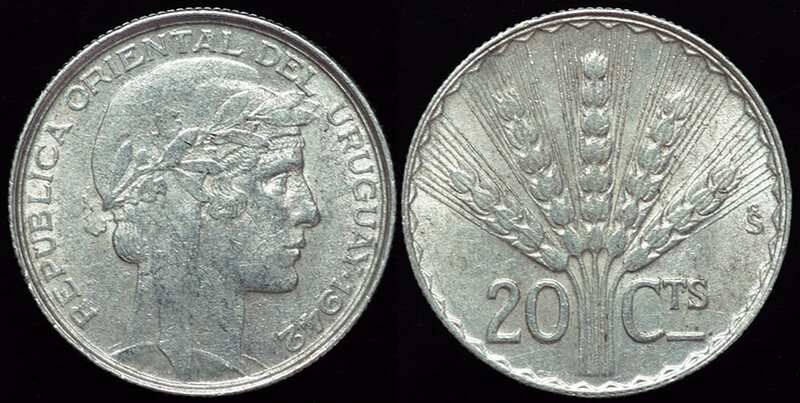 There is a much nicer coin issued in 1930 with a seated liberty figure and wheat. This issue of 1942 was a 18M one year issue. The planchet here appears to be highly irregular.